I’m sure the strapline ‘Two hazelnuts, skimmed milk and a dash of cocoa in every serving’ is supposed to make you see Nutella as nutritious. 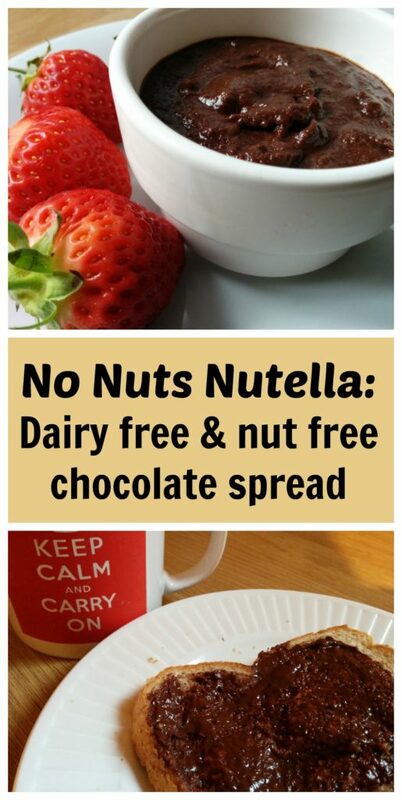 But for the mum of a child with tree nut and dairy allergies it just sounds like a nightmare combination! 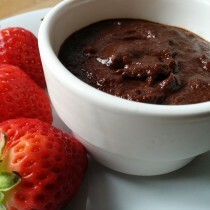 However, it tastes so good I wanted to recreate a nut free and dairy free chocolate spread for J. And I am soooo pleased with the result! 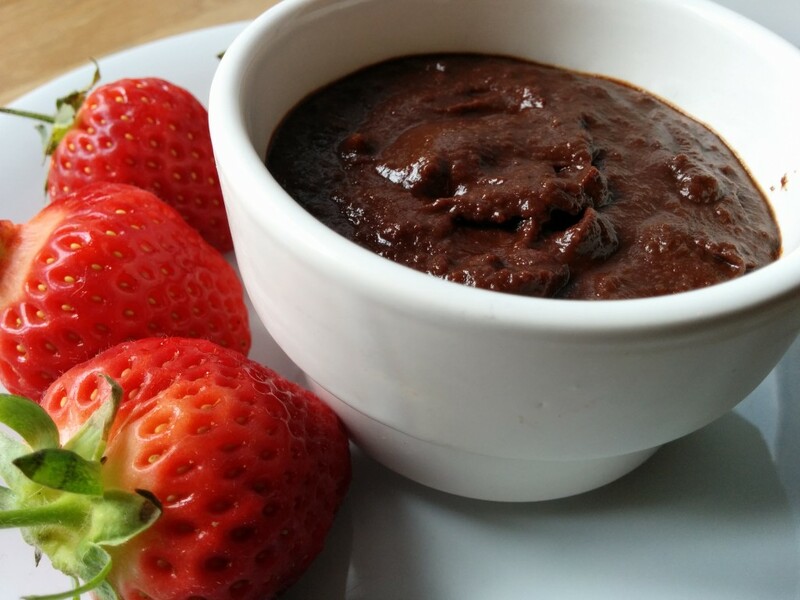 It tastes nutty, chocolatey, moreish and is great on toast or with fresh fruit. In fact, it’s so good it often never makes it to toast but gets eaten straight out the bowl! It will last for up to five days in the fridge though if you have more willpower than me! 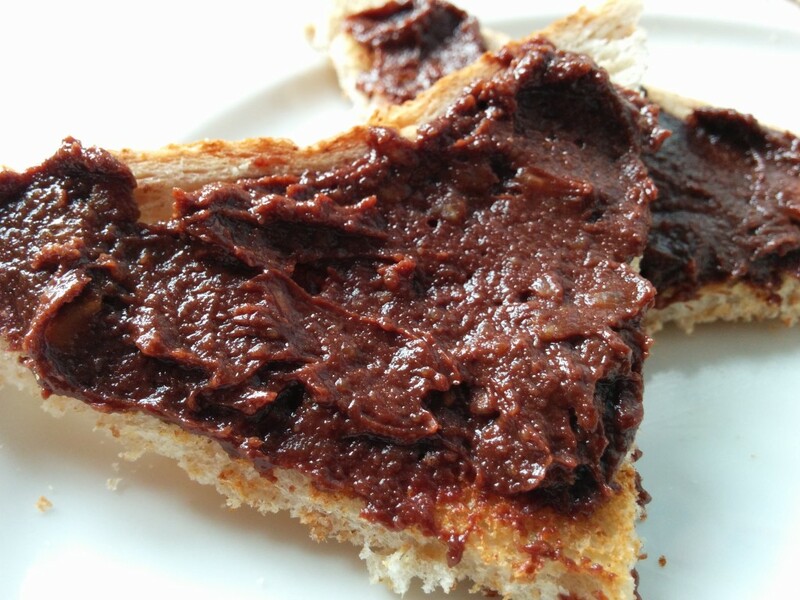 This nut free, dairy free chocolate spread only contains 4 ingredients and can be made in minutes. So it’s great to whip up as a last minute treat and is also nice and healthy for an after school snack or sandwich filler. Also, try using it as a filling in treats like my mini vegan chocolate croissants or a dip for vegan churros. Gently blend together sunflower butter, cocoa and icing sugar. Slowly mix in milk to reach desired consistency. Enjoy!! Ooo yum that sounds and looks delicious! Well done you! Thanks Vicki. It is a good-un! No problem, I hope you are your daughter enjoy it. Hope he enjoys it, let me know how you get on. Oh no! I have seen pumpkin seed paste too if you can have that, but don’t know what it’s like. I’m sure it would work with Hemp milk too. Oh yeah, I love Wowbutter too. Can’t believe how like the real thing it is. Thanks! I love finding adaptations that he enjoys. Thanks, it’s definitely one of my better ones!